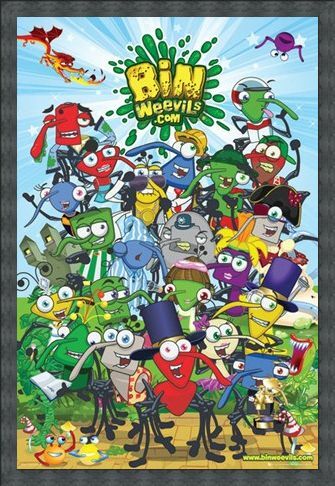 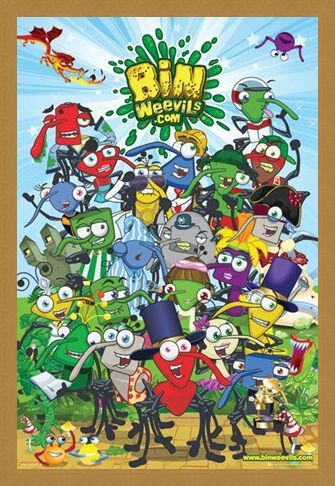 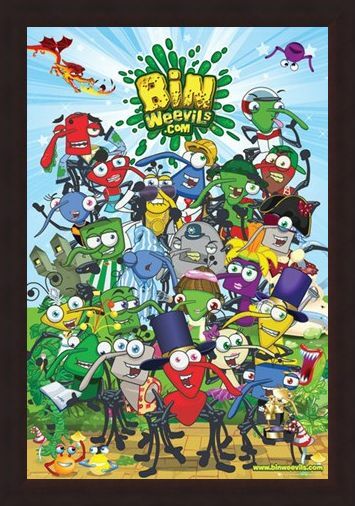 Children's Maxi Poster: Enter the creepy crawly virtual world of the Bin Weevils with this cool maxi poster packed with all your favourite characters. 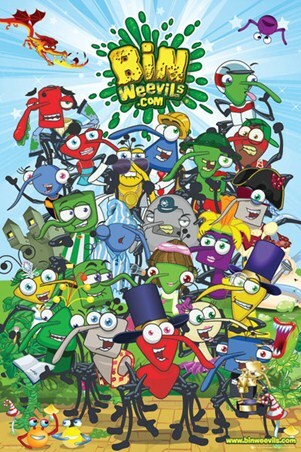 The online virtual world can now be yours to explore as you try to name all these little Weevils. 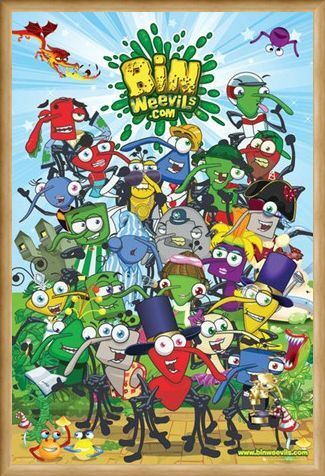 From completing puzzles to decorating and growing your very own garden, the world of Weevils is the perfect place to play with your new pet and make friends. 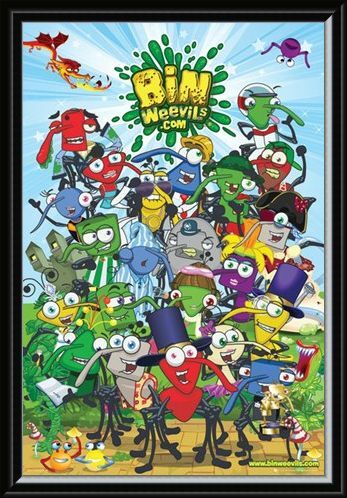 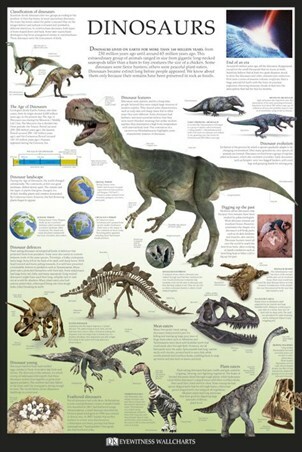 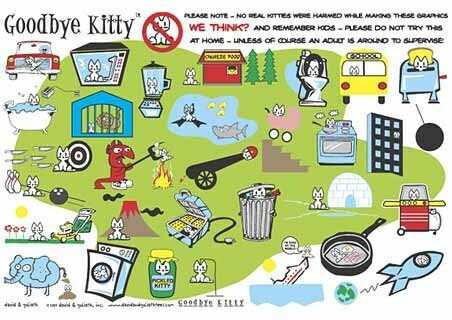 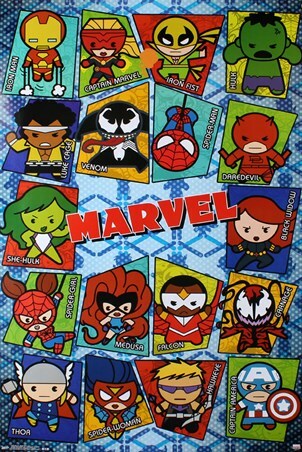 So why not get yourself one of these unique little online pets and bring all their pals home as you hang this colourful maxi poster on your wall. 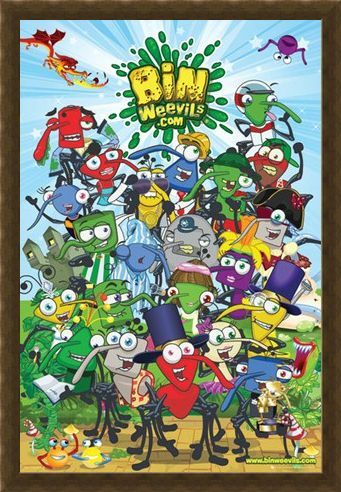 High quality, framed The Online World of The Bin Weevils, Bin Weevils poster with a bespoke frame by our custom framing service.